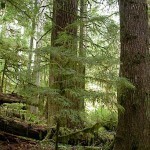 The Valley of the Giants is a 51 acre parcel of land containing a stand of old-growth Douglas-fir and hemlock trees many of which are more than 20 feet in circumference and nearly 200 feet tall. 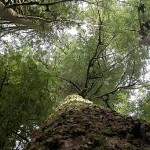 Some of the largest trees are between 400 and 450 years old. 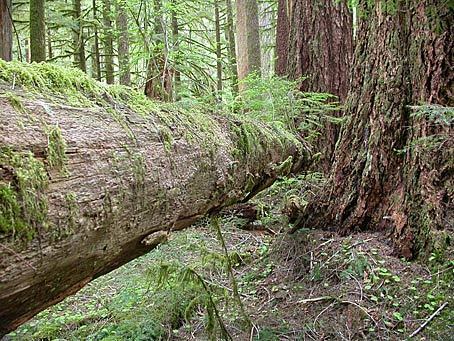 The largest, blown down in a windstorm in 1981, was more than 35 feet in circumference and over 600 years old. 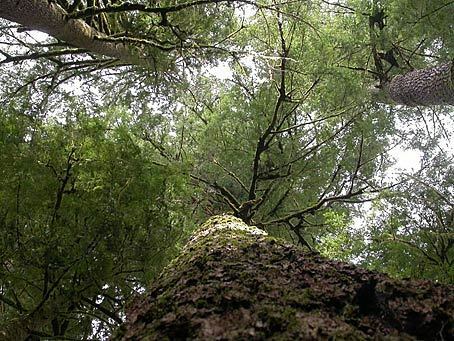 Because of the increasing rarity of such large trees in the Coast Range, a wave of public support for their protection was begun in the early 1970’s by Maynard Drawson of Salem, Oregon. 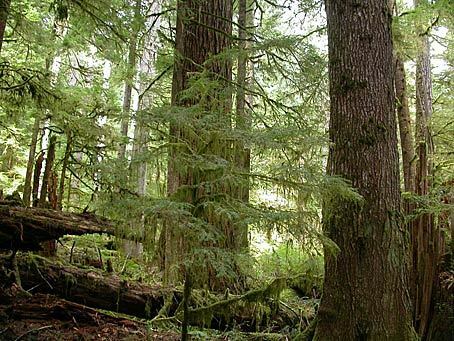 In 1976, the trees were officially recognized as “Oregon’s Bicentennial Grove” and the Bureau of Land Management designated the site as an “Outstanding Natural Area,” providing the grove with a protective land-use category and closing it to logging. 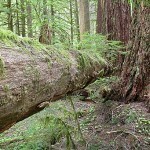 The Valley of the Giants is located 30 miles west of Falls City on logging roads not suitable for passenger cars. Visitors must call the BLM at 503 375-5646 for directions and road information.